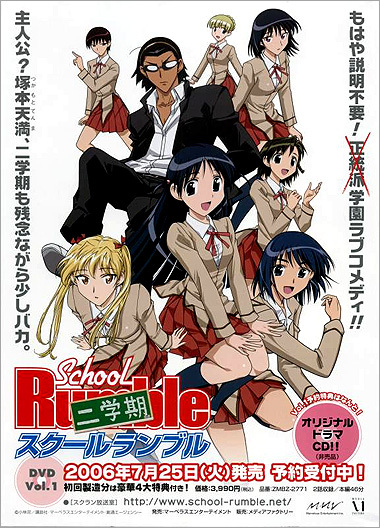 School Rumble sounds like it should be along the lines of Battle Royale High School, but it's not even close. Far from being a beat-up, drag-down, fight, fight fight series, it is instead a pleasant romantic comedy with well-fleshed out characters that will amuse you as well as get you drawn into their little soap-operas, until you are screaming at the TV for them to finally confess their undying love to their secret crush(es). Tsukamoto Tenma is just like any other normal second year high school girl, with the exception that she is in love with quite possibly the dullest (and most unusual) anime character in any anime... ever. Now, enter from stage left, Harima Kenji, the second year high school delinquent. He's *not* like any other normal second year high school guy, and he is also in love with Tenma. 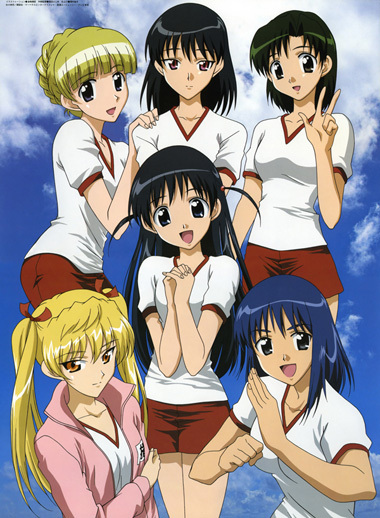 There is no formula for funny, but if there were, School Rumble's mix of character and situational humor, pratfalls, parodies and sight gags would be it. The series flits with practiced ease between all manner of jokes, some repeated (botched confessions, Harima's all-too-realistic romantic delusions, Itoko's mean-spirited romantic meddling) others are one-shots from out of the blue, but never allowing the humor to stagnate or grow stale. The gags never ignore reality outright, and more importantly, are rooted firmly in the reality of each character; in Harima's decency and lack of social graces, in Hanai's disastrous honesty, in Itoko's treacherous sisterly affection. The wonder of this character-building is that (with a few exceptions) it never feels like Kobayashi is "constructing" his characters. Instead he assigns each character a strong and clearly defined (if occasionally stereotypical) personality and then allows it to manifest itself via their actions and reactions. As a result, rather than a cast that has been introduced to you, the characters feels like friends that you have gotten to know on your own. 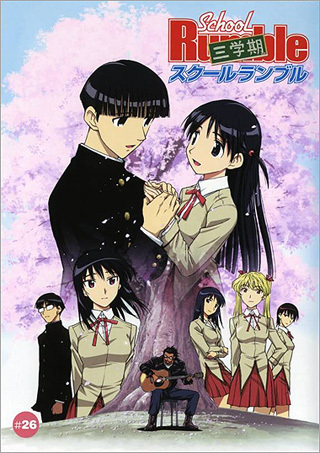 School Rumble has many familiar elements, but tastefully leaves out the most overused and annoying crap, leaving a solid foundation on which is built a whole new slew of gags, characters, situations, and story. Unlike many shounen romance-comedies, this series has more than one season. We thought it would be impossible to have a series like this run more than one season without being repetitive and boring, yet it continues to be funny and occasionally dramatic and tugging at the heart-strings. And if we can put down a single word to describe *why* it's better than the rest, that word would be "quality". School Rumble is quality fun. You can't beat that at any price. 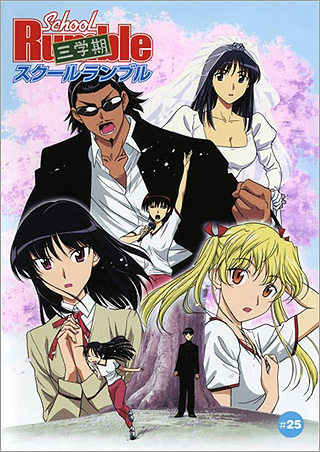 Below: A Japanese ad for the School Rumble DVD and promotional artwork for the anime series. 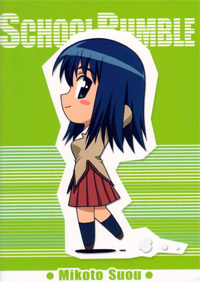 Below: The opening titles for School Rumble. 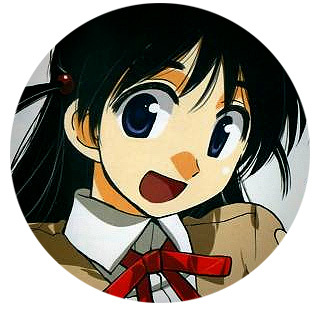 Below: School Rumble manga covers.